Openda Ltd was established in 1997 to improve efficiency for manufacturing and distribution client businesses. The company operates in the United Kingdom as well as the U.S. and mainland Europe. Openda strives to provide its customers with a combination of big-brand experience and a small-company, personal approach. Openda’s enterprise resource planning (ERP) software, called QX, incorporates a number of functions, including inventory management software and customer relationship management (CRM) software. More specifically, the functions of QX’s various component applications include warehouse inventory, order tracking, scheduling, invoicing and a number of document output formats. This ERP package also features user tasks by which office personnel can modify or change orders, clients and vendors. All data is presented in standardized reports that can be customized to fit the particular needs of different businesses. Other features include the capability of sending orders and invoices automatically using electronic data interchange (EDI). The document management software in Openda QX ERP software offers sales, purchase and nominal ledgers that can be used to improve cash flow, prevent unwanted debts and maintain up-to-date supplier account information. It also allows clients to easily access transaction details financial information related to their businesses. The U.K.-based Bray Healthcare company replaced its Internet technology system with Openda QX over Microsoft and SAP products. 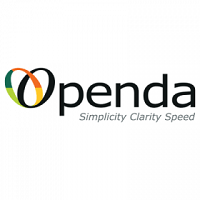 Bray’s managing director cited Openda’s familiarity with the problems he was facing and its ability to demonstrate its product being used by another client in a nearby facility as reasons for purchasing and implementing Openda ERP software. Learn everything you need to know about Openda QX ERP. Our experts will reach out to you shortly.